Powerful mapping technologies like geographic information systems (GIS) provide critical insights into crime patterns, enabling transport authorities and city leaders to make public transit safer for city residents. Photo by kris krüg/Flickr. According to a recent Thomson Reuters Foundation study of the world’s 16 largest metropolitan areas, harassment on public transport is a growing problem for cities worldwide. Nearly 60 percent of the 6,555 women surveyed admitted to having been physically harassed. Furthermore, a significant number felt that they could not travel safely after dark and that onlookers would not intervene in situations of harassment. This has serious implications for urban welfare, as women who fear traveling alone are less likely to take advantage of jobs or educational opportunities, thus limiting the economic potential of the entire city. Cities are large, bustling centers of diversity, and protecting the safety and mobility needs of different communities is a key challenge for public transport operators and city planners. Crimes often appear to be random, making it hard for urban police departments to detect patterns as they develop. With many cities growing at unprecedented rates, it is essential for city leaders to address issues like women’s transport safety quickly and efficiently. Technology can be an aid in this fight. Mapping platforms are already valuable tools that transport planners rely on every day, and they have huge potential to help track and analyze crimes to ensure women’s safety on public transport. The previously mentioned Thomson Reuters study concluded that New York City has the safest subway system of all the cities surveyed. Although there are many possible reasons for this, one significant factor is New York City’s use of mapping software to analyze high-risk areas and determine what forms of response are necessary. For instance, the city has used GIS to map the most frequent sites and times of theft in its subway system—usually around the time school gets out—and placed more officers in those locations at the necessary times. The NYC Crime Map allows users to visualize crime data and see where different types of crimes are concentrated in the city. Map by New York City Police Department. Public transport safety has greatly improved on most platforms due in part to these preventative measures. In total, subway crimes dropped 6.2 percent over the year 2013 alone. This was a much greater decline than the reported overall 0.6 percent decrease in crime for the same time period. This is a significant decrease in crime for a city with nearly six million daily public transport users. 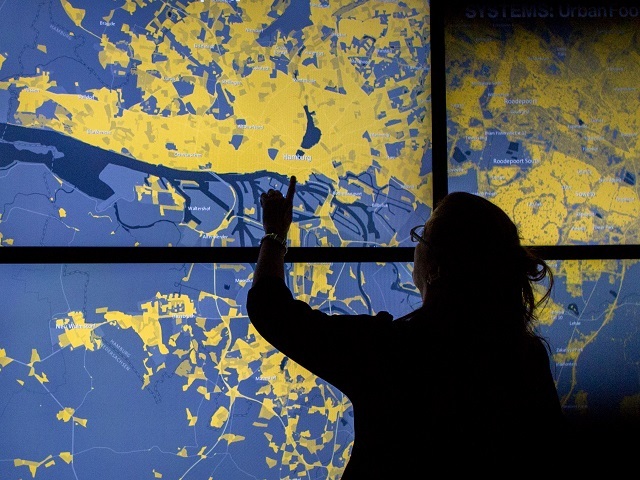 Mapping software provides a great opportunity for cities worldwide. Not only does GIS guide planners as they expand mobility systems, but it can also help city officials keep these systems safe once they are operating. In Rio de Janeiro, Brazil, for example, police officers are using geospatial analysis to determine where crimes are taking place, despite limited access to precise geographic coordinates. Using this method, new reporting techniques have been developed that will help police improve their operational procedures and preventative strategies. 64 percent of women in Mexico City said they had experienced some form of physical harassment on the city’s metro system. Imagine how the presence of additional officers in problem zones could effectively make the city’s metro system safer and more inclusive for women. By utilizing mapping software, police units in growing cities can gather real time data on where, when, and what types of crimes are happening. Since cities experiencing rapid growth often have limited resources, it is essential that they use their time and money efficiently. Mapping software allows city leaders to easily and precisely identify citizens’ needs, and to make informed decisions about how to respond most productively. Implementing crime mapping has been proven to reduce crime and save resources in established cities like New York. However, it provides even greater opportunities for cities that are rapidly developing, as it enables them to approach future growth in an efficient manner. By addressing harassment and crime in general, cities can utilize the power of public transport to connect all residents with education and job opportunities, strengthening the economy and the greater community.